While the United States and China may compete in economy and trade, they should also work together to combat global challenges, said a former senior U.S. diplomat here on Friday. America and China, which are facing "a number of challenges in bilateral relations," should learn how to compete with each other as well as how to work together, said former U.S. Under Secretary of State Nicholas Burns in an event held by a non-profit organization in the Midwestern state of Michigan. We have climate change, pandemics, human trafficking and other global issues to deal with, Burns told an audience of over 400 people at the luncheon held by the World Affairs Council of Western Michigan, which aims to provide forums for conversation on international topics. 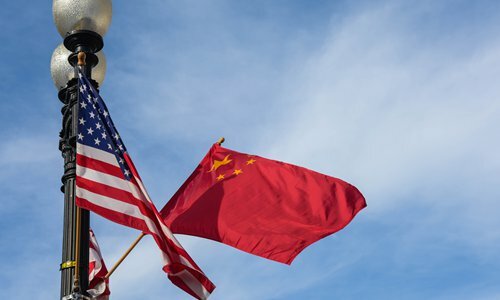 The United States and China are the two strongest economies in the world and their relationship is "the most important relationship that both of our countries have," said the veteran diplomat, who was in the U.S. Foreign Service for about 27 years. The two sides bear a lot of responsibility for the stability and peace in the world, he added. Meanwhile, Burns criticized some "calls" from Washington which campaigned for preventing Chinese students from studying some subjects for "national security" reason. That's "very dangerous" when you begin to say who can study in your country and who can't, Burns said. "We do live in a global society and we have to work together" to tackle big problems, he added. Burns noted that it is good for America's sake to welcome Chinese students, as that means there will be more people in China who really "understand us" in the future.